Rastriya Janta Party (RaJaPa) has organized a torch rally protesting against the election and demanding the amendment of constitution. The cadres have demonstrated in Mahottari, Dhanusha and Sarlahi including many other district of Terai and Madhes on June 12 according to INSEC regional Office, Kathmandu. The leaders of the party had announced schedule of general strike on June 11 with the objectives of obstructing the election until their demands are not addressed. 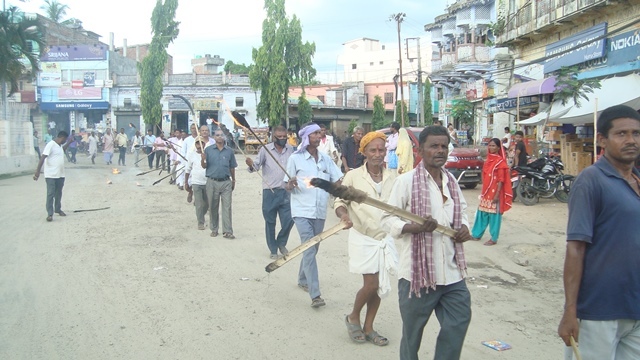 As per their schedule, the cadres have organized torch rally on the evening of June 12. 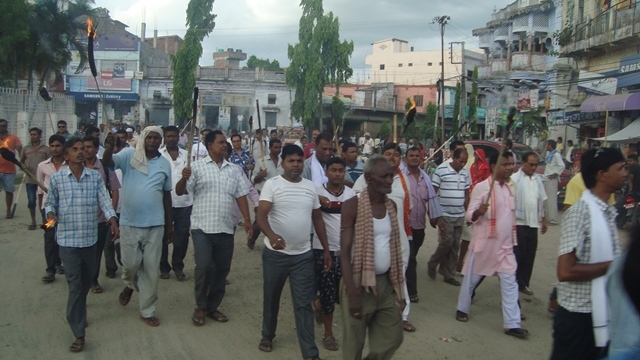 According to the INSEC district representative Ajaya Kumar Shah, RJP has organized demonstration in Mahottari on June 12 against second phase of local level election. The torch rally started from RaJaPa office in Jaleshwor and rounded the city. The participating leaders and cadres of the rally demanded for the postpone of the election, amendment of constitution prior to the election, withdrawing the case against the leaders and cadres of RaJaPa during agitation and demarcation of provincial representation based on population. RaJaPa leader Suresh Singh warned government to take responsibility if it forcefully conducts election. According to Dhanusha District Representative Binod Kumar Rabidas, RaJaPa has demonstrated a torch rally in Janakpur on June 12. The party is in agitation demanding the amendment of constitution prior to the election. The party has announced general strike from June 13 till June 15 against the second phase of election announced by the government. 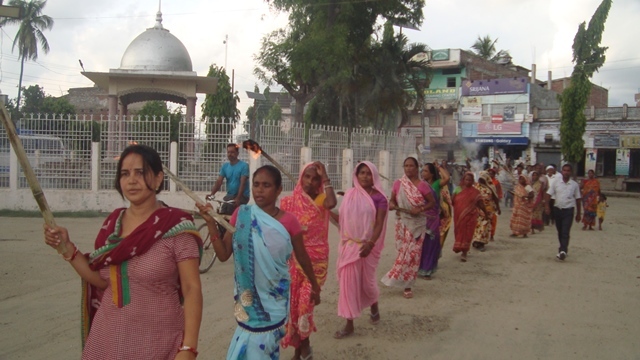 In order to make the strike successful, a torch rally was organized starting from Janakpur Campus Chok rounding the city before converting into triangle assembly. The district coordinator Parmeshwor Shah of the party confirmed that Madhesi people will not participate the election at any cost. The party has announced for the general strike for four days on June 16 targeting the candidacy nomination. According to Sarlahi District Representative Santosh Kumar Shah, RaJaPa has organized torch rally in various places in district headquarter Malangwa on June 12. The torch rally started from RaJaPa office and took a round in the city before ending at election office. The cadres had dumped the torch at the office after the end of the demonstration. The cadres of RaJaPa had demonstrated the torch rally in Malangwa, Ishworpur, Gaudaita, Sisauta, Barhathawa, Haripur, Gaur, Nawalpur including various places of the district. According to INSEC district representative Manohar Kumar Pokhrel of Saptari, Rastriya Janta Party has demonstrated the torch rally as per their call to obstruct the local level election. The torch rally was organized in Rajbiraj. The demonstrators chanted the slogan against the government and three major political parties warning to obstruct the second phase of election. The rally started from Mahadev Temple before ending as a triangle assembly at Sahid Dashan Chok. The speakers of the assembly said that they will not only boycott but will not allow conducting the election. RaJaPa Saptari coordinator Sunil Kumar Jha said that the party was compelled to go against the election after their demands were not addressed by the government and there were no environment created so that they can go for election.